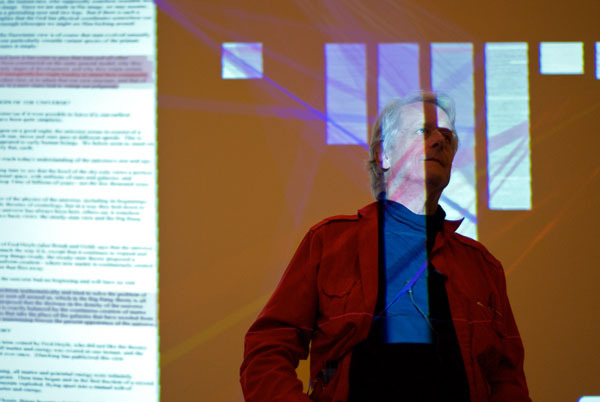 On October 8, 2010, Brewster Kahle and Internet Archive hosted Ted Nelson’s book launch for his autobiography “Possiplex.” It was a special evening. There was a wide array of guests, including some of Ted’s closest collaborators. Ted Nelson spent over two hours reading from his book “Possiplex” and answering questions from the audience. He discussed his many projects and gave a demonstration of Xanadu. He also thrilled us with a screening of his movie that he wrote, directed and filmed in the 1950’s. I found it hilarious. He was both gracious and opinionated, which made for a rousing event. Thanks to the folks who organized the event: June Goldsmith, Laura Milvy, Jeff Ubois, and of course Brewster Kahle and Ted Nelson. This entry was posted in Cool items, News, Video Archive. Bookmark the permalink. It would help to have a link to where people can get the book, “Possiplex”. Is it available for download somewhere? Is one expected to purchase a copy? I tried looking it up on isbn.nu and found nothing. What are the terms of license for the book?